A multitasking “smart” beauty powder? This powder is quite silky and creamy-feeling; like a pressed powder foundation or high-end blush more than the typical pressed or illuminating powders. Pigmentation is also similar to a pressed foundation and you get pretty good pay-off. Price: RMK is not cheap in Singapore, and this pretty powder costs $79 a pop for 7g. Definitely higher end. 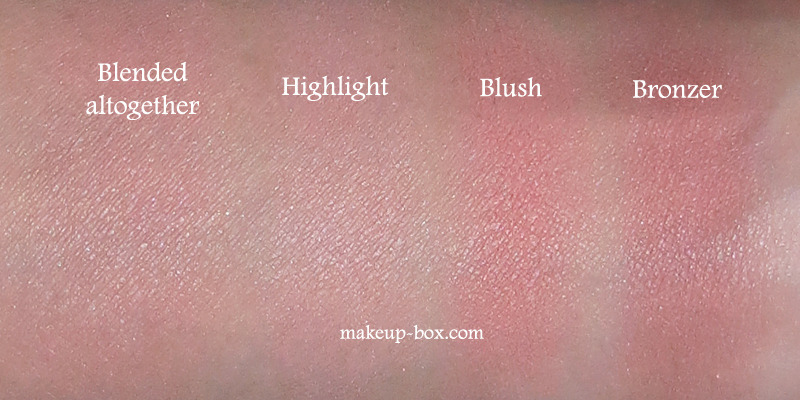 Skintones: The range of skintones where all 4 usage shades will show up nicely is limited to the medium-ish. For everyone else, usage is more limited. If you’re very fair, the highlight isn’t light enough and it might also be a little too dark swirled all around as a face powder. As a soft bronzer and a blush though, this would be perfect as it’s not too muddy or dark, and the peachy undertones are flattering. If you’re tanner, obviously the contouring color won’t show up well, but you can use it as a beautiful highlighter and illuminating all-over powder because the texture is not chalky and there are enough warm pigments to brighten the skin. Kaleidoscope powders are limited edition for Spring 2014, so if you’re keen check out your local RMK counter to try it on yourself! 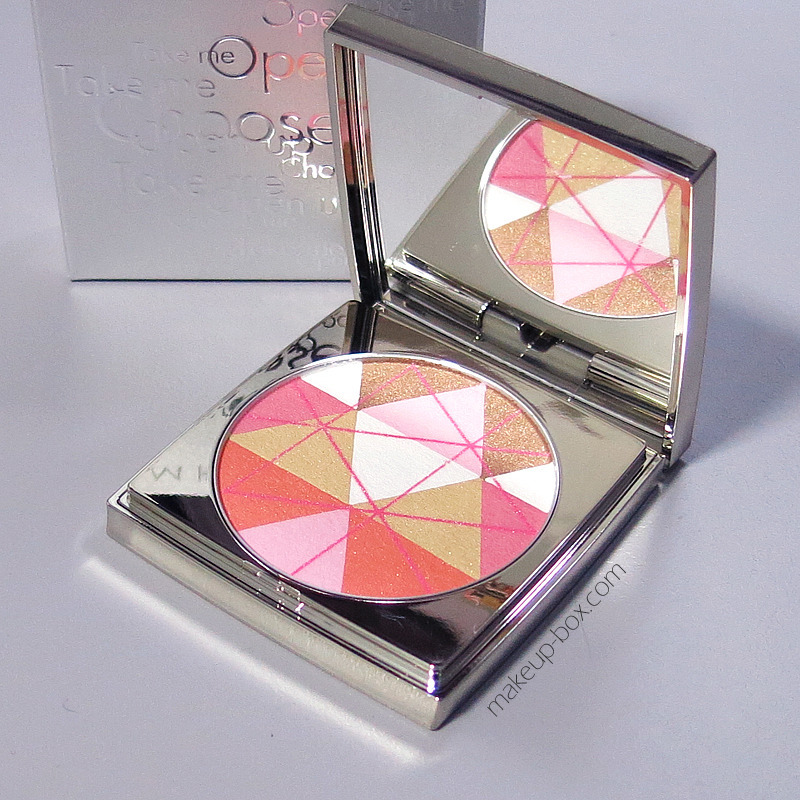 The other illuminating powder is a lighter one with pastel blue, pink, white and beige triangles. It’s a better match as a face powder for my skintone (mac n2-3 ish) but that one can’t be used as a multitasking powder, so perhaps note worth the price-tag compared to this one.